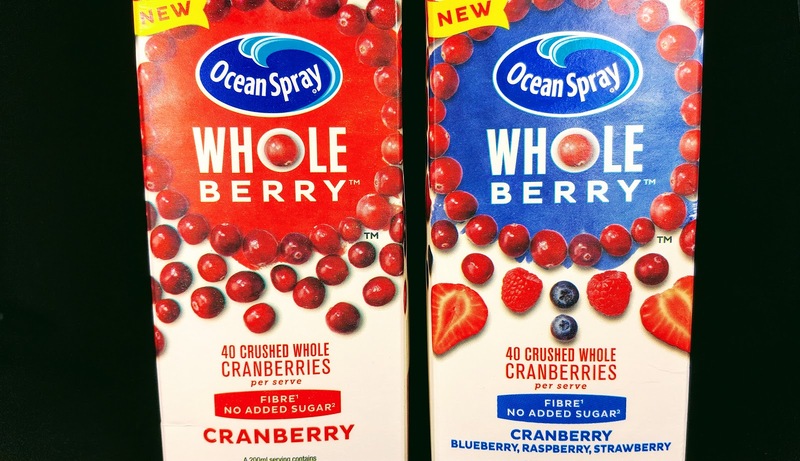 Ocean Spray® Whole Berry™ Review. I am not looking forward to today as they have forecast snow and a temperature of -10 degrees. I think I will leave Parkrun again this week and make a comeback, another week. Ekk, it was beautiful and warm yesterday too. Think I will have a nice breakfast instead. A glass of tasty, yummy goodness for breakfast anyone? Earlier this week I kindly got sent some Ocean Spray® Crushed whole cranberry fruit juice to try. Lovely. I have been meaning to buy some cranberry juice for a while now as I have heard how good it is for you. I am on a new fitness plan and have read that cranberry juice can also be a healthy addition to your weight loss plan. I have also read that it can also help in combating certain infections and diseases. Got to be worth a try then?! 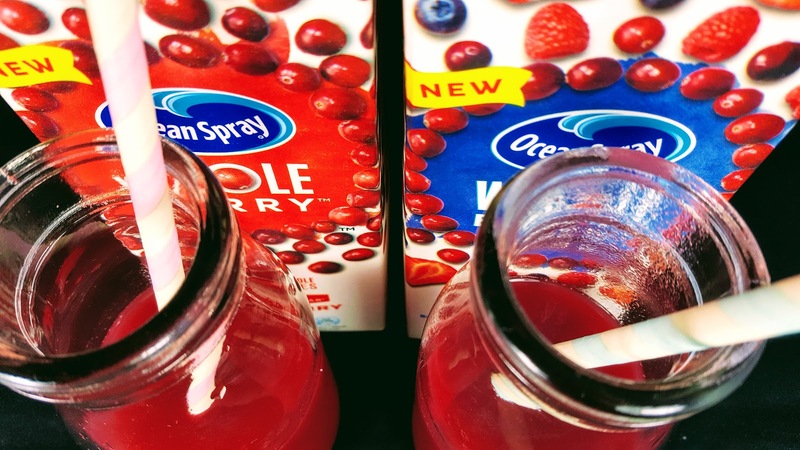 There are over 40 whole cranberries in a glass of Ocean Spray® Whole Berry™. Cranberries are also packed with nutrients to help boost overall health. Reassessing your health and fitness goals and what you put into your and your family’s body? 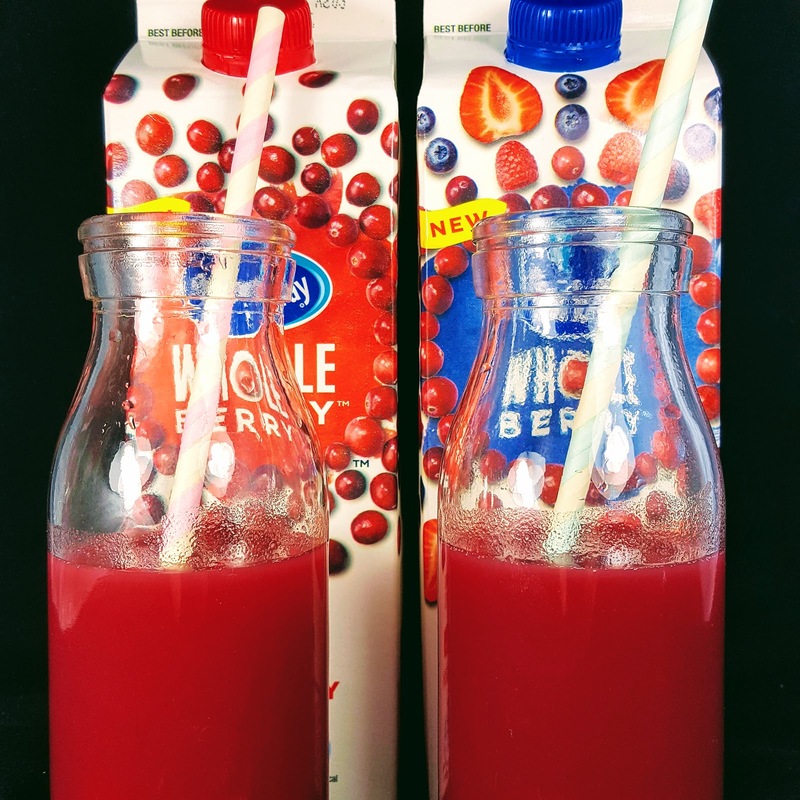 It’s time to pay homage to this innovative juice made with crushed whole cranberries (40 in every 200ml glass to be precise) and not just the juice, because Ocean Spray® Whole Berry™ includes the skin, seeds and flesh in its juices so, unlike most juices, you get maximum nutritional benefit and the same goodness from eating whole fruits. 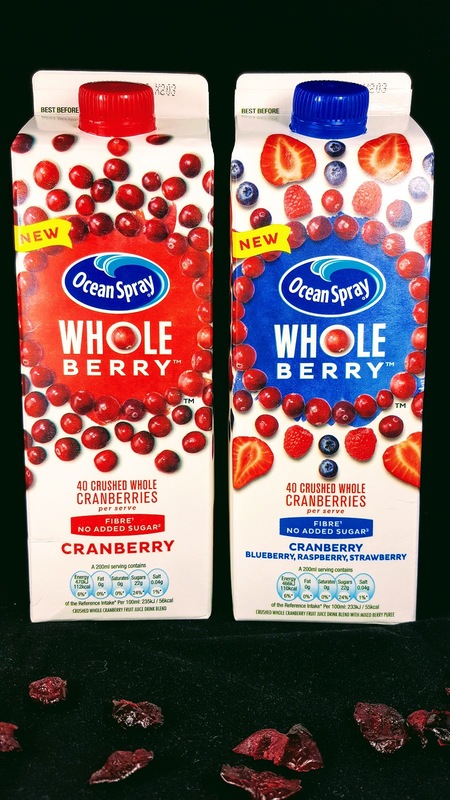 Ocean Spray® Whole Berry™ is deliciously tasty, velvety on the tongue and sumptuously thick in texture with absolutely no added sugar or preservatives. 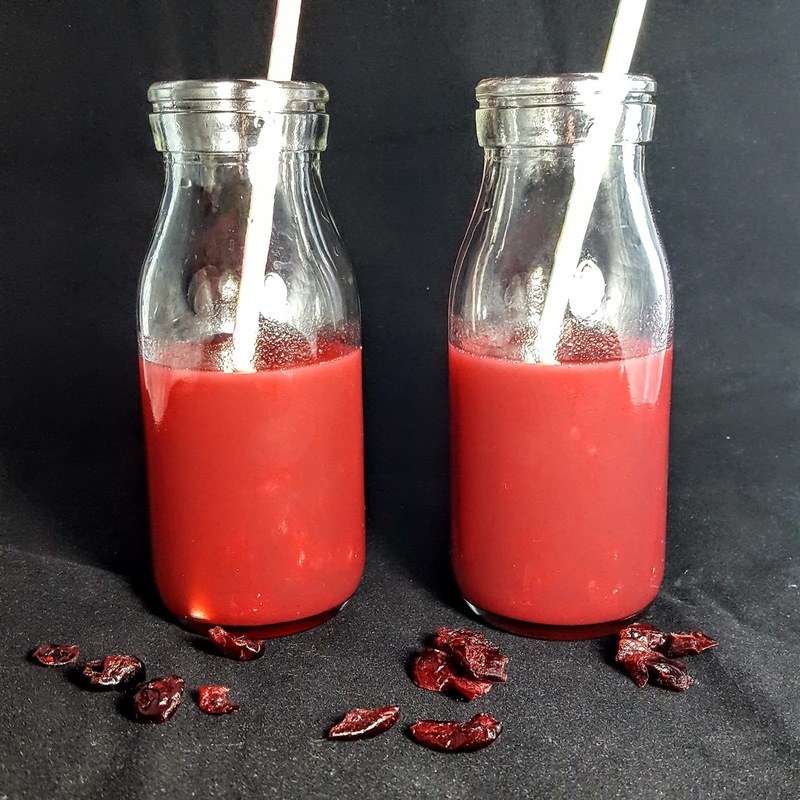 So if you love juice, what better way to kickstart your day than with this super tasty, super nutritious and zingy fruit juice drink blend? 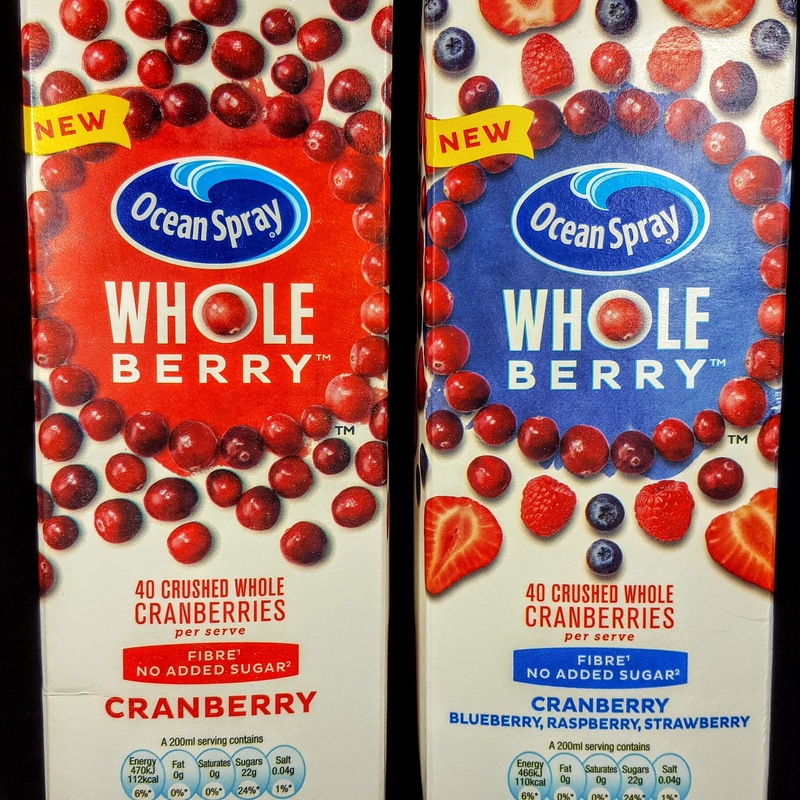 A recent survey of 10,637 shoppers by Product of the Year, rating the best products of 2018, voted Ocean Spray Whole BerryTM as the best and most innovation drink to hit supermarket shelves in the past twelve months. 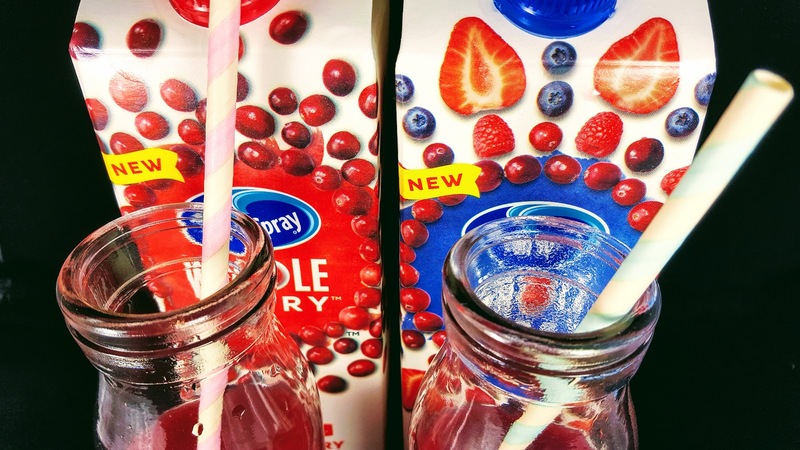 Made with crushed whole cranberries, every 200ml serving of Ocean Spray® Whole Berry™ is one serve of fruit. Available in Sainsbury’s, Waitrose, Asda, Co-Op and Booths (850ml, RRP £2.99). 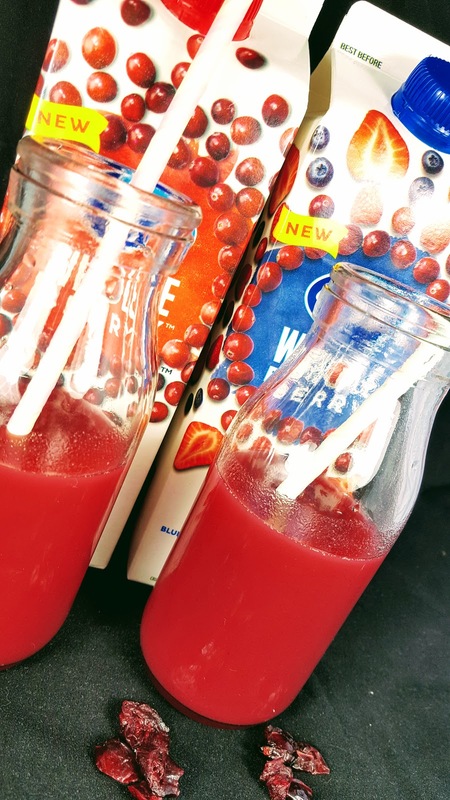 As soon as the children noticed the Ocean Spray® Whole Berry™ juices in the fridge, they wanted to open them and try it straight away. We all thought it tasted really fruity and very yummy. It has a lovely thick consistency to it and is nothing like I imagined it would taste. Everyone in the house thought it was delicious and very moreish. So much so, that 2 cartons were gone in a day. Oops, perhaps too much of a good thing. Definitely brings the sunshine inside you on a cold day. It reminds me of Summer. Summer where are you!! I think we all loved the Cranberry, Raspberry, Blueberry & Strawberry the most as this one went straight away. Both flavours taste great though. Would I buy this juice? I am going to look out for this in the fridge isle when we next go shopping. My children love fruit juice with their breakfast before they brush their teeth and go off to school for the day. This drink gives them a good boost of vitamins before they leave. What’s not to like?! This is a commissioned post for Ocean Spray®. All thoughts are my own. Gluten Free Cranberry And Oats Flapjack Bars And An Easy Peasy Cupcake Selection. "Easter Egg Surprise By Selasi Gbormittah"
"South African Pink Lady Cornmeal Cake"
That company is based not far from me! Such good cranberries! I love cranberry juice! I have a lovely cocktail recipe for cranberry juice, Prosecco and Cointreau. I always make it at Christmas and it is sooo yummy! Don’t blame you ,leave the park run for another week. Keep warm and enjoy your yummy cranberry juice !!! I tend to stay away from fruit juice due to the amount of sugar involved. I have never tried Ocean Spray, I wonder how healthy it is. I really like cranberry juice – especially with some vodka or amaretto in it!! Very refreshing!! I love cranberry juice. It’s good ice cold on its own, but even better if you mix it with gin and mint! I find cranberry juice a little too bitter and dry for me, but when you mix it with other berries it becomes much more palatable. I haven't tried some of the new combinations, only the cranberry and raspberry, so I'll have to give some others a try. We drink ocean spray all the time. I buy the light version, it's great with vodka too! My kids drink it to ward off water infections which they are prone to. I absolutely love Ocean Spray drinks. I'll be on the look out for this now in store! Love the idea they've gone into whole juice market. I usually make my own smoothies or fruit juices for breakfast but for when I don't have time both of these juices would be delicious! These sound great! We have Ocean Spray cranberry juice quite a lot and we all really enjoy it so these would go down well I think! I have a sudden craving for cranberry juice now! It's not something I drink often, but I do enjoy it.